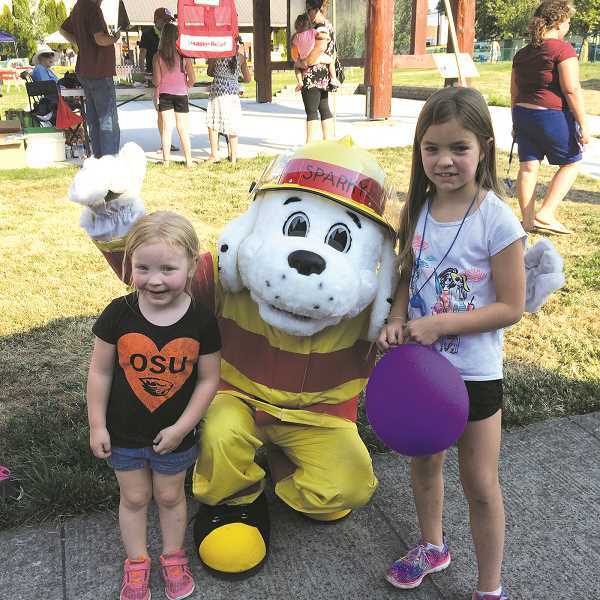 It may have been very hot with that bright yellow sun shining on Sally Fox Park, but that didn't stop many parents and children from having a lot of fun at Molalla's 2018 National Night Out. It appeared at least 100 people traveled around the park, meeting and greeting new friends and old. 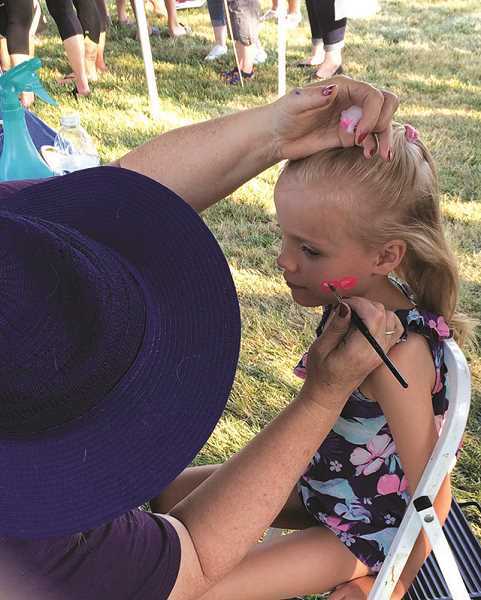 The event featured booths for face painting, games, crafts and even a splash pad where kids danced in the cool water. 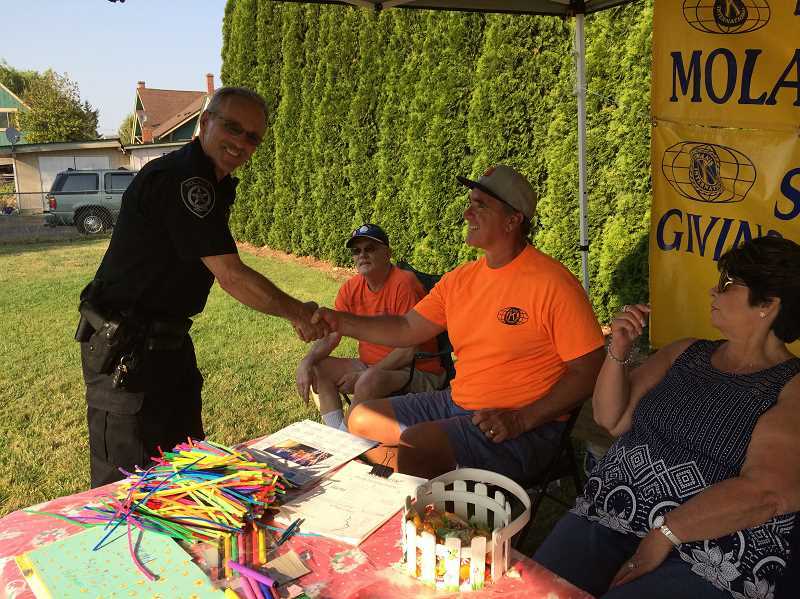 While fun for the kiddies is important, there's a bigger message behind the frivolity; it's about meeting neighbors and the people who take care of residents — police and firefighters, who were out in force. The firefighters brought along the ageless Sparky, a human-sized Dalmatian who happily hugged the kids and showed them the fire trucks. Lots of people registered their sorrow for the large dog who must have been sweltering in all that fur with a yellow fire jacket covering him. 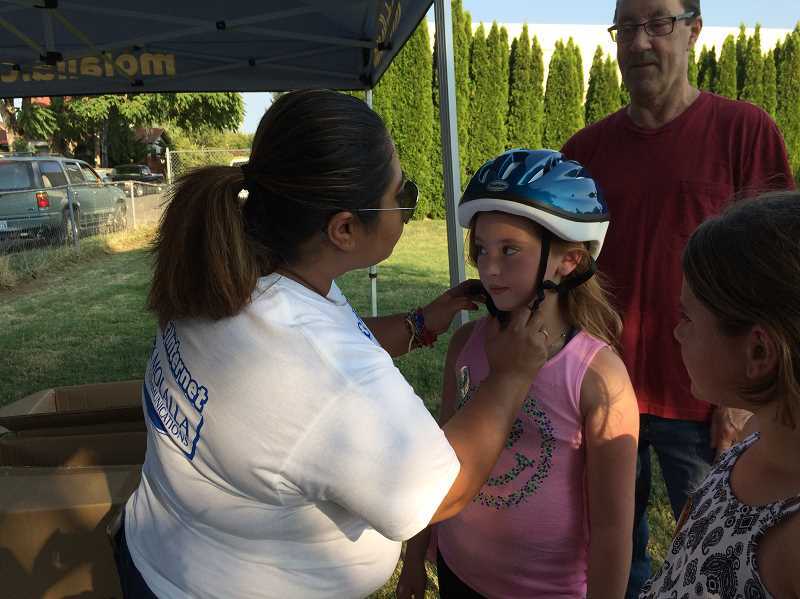 Kayla Brenner, a 911 dispatcher from the Clackamas County Sheriff's Office was there to talk with residents about calling 911 during an emergency. Kiwanis Club members Charlie Williams, the incoming president of the club, greeted Police Chief Rod Lucich along with Mulino Elementary School Principal Alan Willey, and Peggy Wudinger. The Cub Scouts had a booth featuring sign-ups for their new girl members, while 2-year old Tristan Leslie recovered the bean bags before they entered the corn hole. Kappa Dancers Harmony Robinson and Nehimiah and Nevaeh Rodriguez danced their hearts out to "Zippity Do Dah".